Bushmans Kloof Wilderness Reserve & Wellness Retreat, the multi-award-winning wilderness escape in the foothills of South Africa’s Cederberg Mountains, has enhanced its accommodations with the opening of the stunning Cederberg House, a private villa that can host up to four guests in seclusion and luxurious comfort. Overlooking the tranquil Boontjies River, Cederberg House’s timeless design was inspired by Cape Dutch architecture and offers an exceptional window to the wilderness beyond. The villa’s aesthetic was carefullydesigned to blend seamlessly with the surrounding landscape, from the raw materials such as stone and slate that flow through each room, to the thoughtfully curated collection of original South African artwork. Ideal for families or groups of friends, guests staying at Cederberg House are treated to the generous hospitalityfor which Bushmans Kloof is renowned, including personalized, all-inclusive service, all meals and activities, and a private guide and vehicle to bring Bushmans Kloof’s open plains, sandstone formations, breathtaking flora and fauna, and 10,000-year-old rock art sites to life. This secluded sanctuary includes two large master suites each featuring their own outdoor shower, state-of-the-art technology, a fully stocked bar, a dining room and abundant living space. Plenty of thoughtful touches ensure a restful environment, such as B|Africa Signature amenities, indigenous flowers, scented candles and delicious treats from Executive Chef Charles Hayward and his team. Showcased throughout the villa are some of South Africa’s most renowned artists such as Esias Bosch, Gabriel de Jongh, Walter Battiss and Tinus de Jongh. 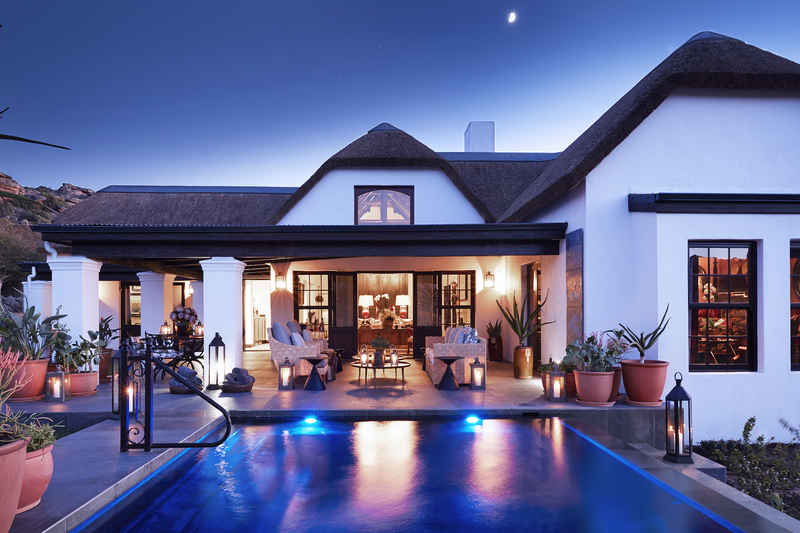 Outside, the large private terrace and pool provide the ideal place to connect with the sights and sounds of nature as night falls over the reserve. The villa can be booked together with the nearby Riverside Supreme Suite, accommodating a combined total of six people, or with Koro Lodge, a private, fully-catered villa with its own chef that accommodates up to 10 guests. 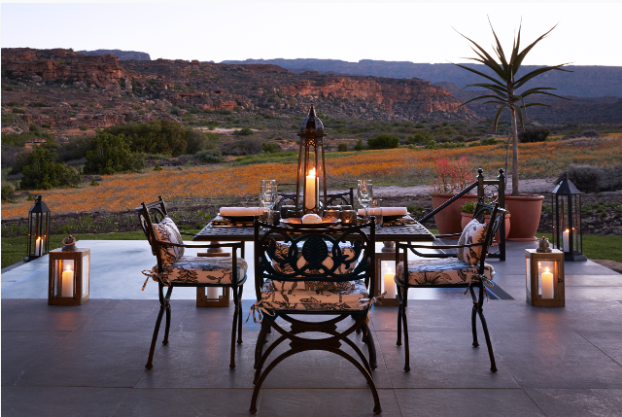 The villa is the latest stunning addition to Bushmans Kloof Wilderness Reserve & Wellness Retreat, which was inducted into National Geographic’s ‘Unique Lodges of the World’ in 2016. The multi award-winning Relais & Châteaux property has also been awarded ‘African Natural Heritage Site’ status for its tireless work in the preservation of the 130 ancient San rock art sites on the reserve. Just a three-hour drive from Cape Town, Bushmans Kloof is beautifully complemented by its sister property in Camps Bay, the luxurious, five-star Twelve Apostles Hotel and Spa, nestled between the Twelve Apostles mountain range and the Atlantic Ocean. at 011 27 21 437 9278 or visit www.bushmanskloof.co.za.